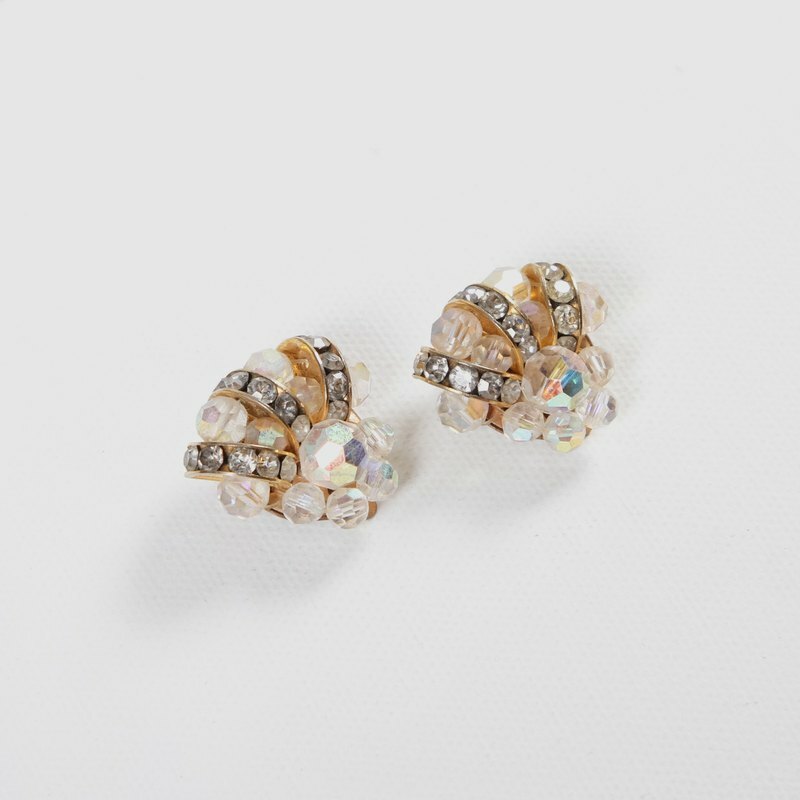 Product Information - about 2.5cm x 2cm - Clip-on earrings that can be worn without pierced ears. - Delicate and elegant shape. - The items are antique earrings, each with only one pair. - A new ear clip soft pad has been replaced. - Traces of oxidation at the ear clips. - The origin is not indicated. 〖About the ancients〗 Egg plant products are ancient, not brand new products. Each piece is carefully cleaned and inspected before being placed on the shelves. Any stains that are more than "1cm" in appearance or damaged, we will clearly mark them in the description and attach photos. However, after all, it is not a brand new product. It will inevitably have some sense of use, such as detailed off-line, slight discoloration, and fine spots. We cannot describe them one by one. If you are a guest who is quite demanding on clothing, we have any doubts and we welcome you. Message with us, we will try our best to answer you! About size Product sizes are measured flat. It is recommended that you confirm the size before purchasing and reduce the size of the actual product. If there is no concept about the size of the clothing, it is recommended that you can use the size we provide to compare with the actual measurement of the existing clothing, which will be more accurate! If you have any questions about the product, please feel free to send us a message and thank you. 〖About color difference〗 The screen color of each computer is different, there may be chromatic aberration problems, we have tried to minimize the color error, please ask us if you have any doubts.